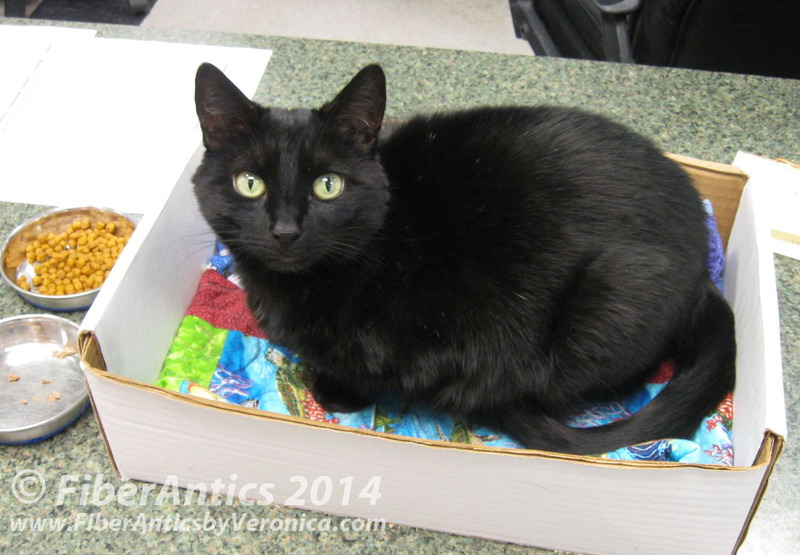 The improv-pieced kitty quilts are being well-used and well-loved over at the Cat Clinic. I stopped in to pick up Lucy's 6-month preventative medicine and Cassandra (the shop kitty) was in her new box on the counter. Cassandra on the turtle quilt. 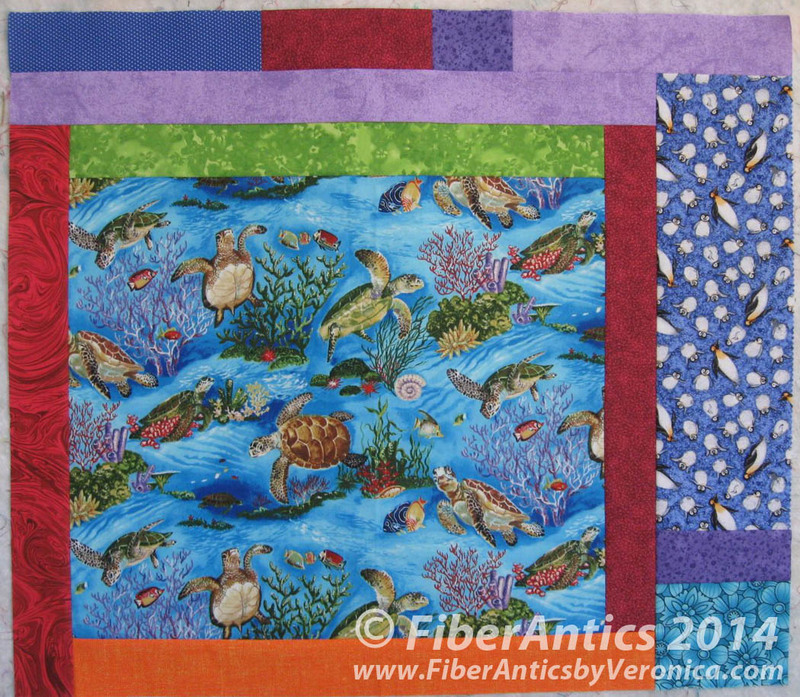 Jennifer was quick to point out that Cassandra decided to claim the quilt with the turtles for her new box. 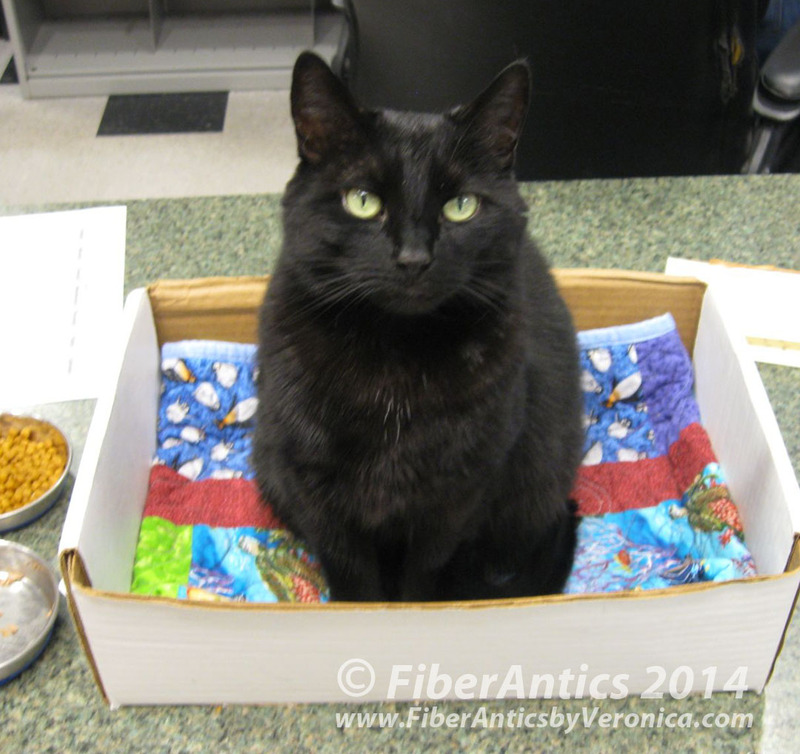 Kitty quilts at the Cat Clinic. While tidying up my studio the other day, I found another batch of scraps purrrrr-fect for improv pieced kitty quilts. I'd also like to tackle making this kitty house. 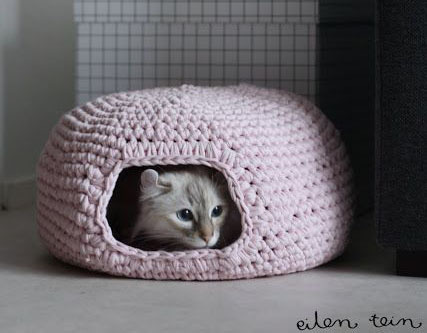 Crochet instructions are on Eilen Tein's blog. Break out the Big Box of 96! Big crowd at Heirloom Quilting workshop!